Born and raised in a poor, working-class family in Toronto, Jack Spayd is the son of an unhappy marriage. But when he is given a harmonica as a young boy, he discovers a talent for music that will change his life forever. After being taken under the wing of 'Miss Frostbite', The owner of a local jazz club, Jack becomes a gifted musician, playing piano and harmonica. After the death of his mother, he travels to Las Vegas and finds work in the clubs there, but is increasingly drawn to gambling. He earns a reputation as a good player, which brings him To The attention of the mafia. Jack wants to join the professional circuit, and to do that he needs serious money behind him. It's this need that sees him travel to the Belgian Congo, where he's heard it's possible to earn big money working in the most dangerous parts of the local copper mines. He gradually falls in love with Africa and then with a beautiful Ethiopian woman. They move to London, where they bring up a daughter who becomes a supermodel. In a dramatic twist, The story returns to Africa - and to a fortune in diamonds. 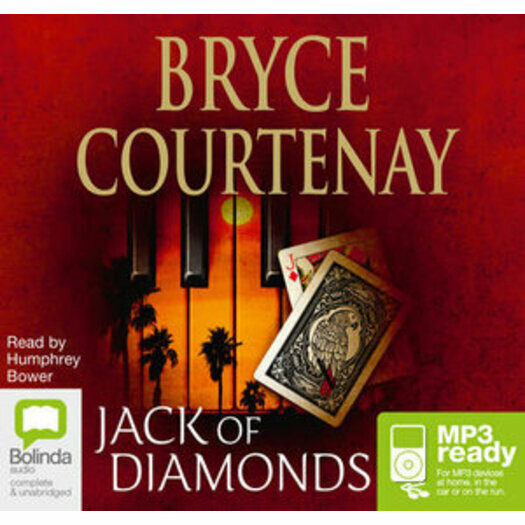 Jack of Diamonds is the story of a young, talented man, fighting to achieve his ambitions, and having to use his considerable talents to find his way in a perilous world.